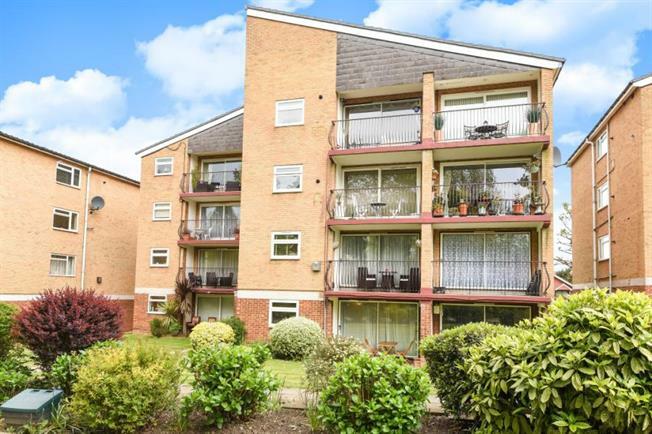 1 Bedroom Flat For Sale in Beckenham for Offers in excess of £325,000. SHARE OF FREEHOLD. Waylands Mead is an extremely popular development of four individually designed blocks of apartments, located in this peaceful and tranquil setting. The Knoll is conveniently located for shopping, cafes, bars and restaurants in Beckenham. Beckenham Junction mainline station with its fast and frequent services to London Victoria is within half a mile. A well-presented one double bedroom ground floor apartment. The property boasts a bright and airy lounge/dining room leading onto a South facing patio area, a good sized double bedroom, modern style fitted kitchen, fitted bathroom and plenty of internal storage space. Externally there are landscaped communal gardens to front and rear and a garage en bloc.